Scroll down to find current homes for sale near Dartmouth College. Look through hundreds of listings in Hanover, Lebanon, Canaan, and other surrounding Upper Valley towns. Contact us if you are interested in touring one of the listings below or have questions. 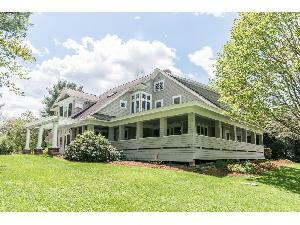 Extraordinary 19.10+/-acres beautiful open fields total privacy. This land is suitable for horses,farming,animals,green houses,gardens,snowmobiling,hunting. Sun filed home with cathedral ceilings,open concept kitchen,dining and living room. Featuring a wood stove,full basement,large deck and picturesque private setting. Bring your plans to the table with around 10 open acres. This beautiful year round home won't last long. Schedule your appointment today.